Donate today. Become a job creator tomorrow. Thousands of quality items at our famous low prices, each aisle holds countless treasures. Start your adventure at Goodwill today! Visit Goodwill often: The merchandise at our stores changes daily, even hourly, so check back with us frequently to find the items you are looking for. Spend a while browsing the racks in order to find what you are looking for. There's so much to see that a few minutes just doesn't cut it! Think outside of the box and you can repurpose items into something different. Don't wait! If you see something you like, grab it now. Most items won't be there for long. Each location has a unique selection. Make a day trip and visit several of our locations for a real bargain hunt. Fresh merchandise is stocked throughout the day, every day, and is colorized and sized for your convenience. 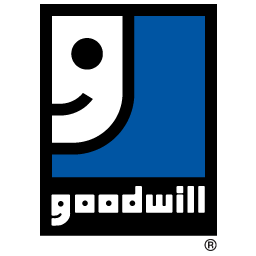 We acquire the majority of merchandise at Goodwill stores through donations; therefore, our inventory is constantly refreshed, providing a unique shopping experience every time. Original tag must be attached and receipt must accompany all items to be exchanged. Items may be exchanged at any of our locations.